Naam Thamizhar member Vignesh, belongs to Thiruvarur today during the Tamil Nadu Bandh attempted self Immolation and died after severe burns in his complete body. He was rushed to the hospital immediately after this self immolation attempt and died within few hours. The youth who is only 21 years old burns himself during the protest at Chennai. His suicide is not the solution of the issue. Life is a precious over all and if we think of our family anybody will not do this insensible activity. He had written letter that his death should be a final one for the Cauvery issue. 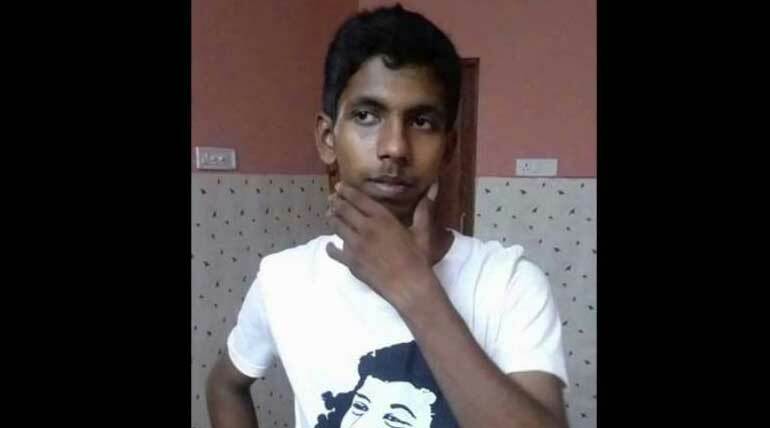 A boy from Mannargudi of Thiruvarur district is on protest against the Cauvery disputes on the leadership of Naam Tamizhar Katchi Seeman on Thursday evening set himself to fire. He was rushed to the hospital and few hours later who suffered with 93% burns died on Friday. In his letter, he urges people to fight for Cauvery water for the welfare of farming. He also urges people to fight for against Methane extraction from the farming land in his home town Manargudi. He also pointed out several issue to be fought for our mother land.